Literary Agents – Always The Right Option? As of today I am off gallivanting around mainland Europe with an interrail card and a bindle full of euros, which means I’m leaving the blog in the very capable hands of a selection of interviewees and guest posters until the end of May. First up, professional writer and researcher Lucy Redland explains the case for getting yourself a Literary Agent. If you’re an aspiring author working on your magnum opus or have a mountain of unpublished works behind you, waiting to be published, chances are you’ve been told just how much you need a literary agent. If you have already reached the stage where you think you are ready to have your work marketed and are not sure how to do it, there are merits to finding an agent. Self publishing is an extremely popular method of publishing these days and of course, it does have its merits, especially if you’re a genre author as many have had success publishing their genre novels in this manner. However, if you’re determined to have your work sold through the traditional method, the Writer’s Workshop amongst other sources would say a literary agent is practically a necessity. When deciding whether you want to engage the services of a literary agent it makes sense to have a full understanding of what their role entails and how they can help you. Firstly, a literary agent understands what sells. Their talents include being able to sort the literary wheat from the chaff and with the statistics suggesting that far less than 1% of all submitted manuscripts are marketable, they will work with you, if your work shows promise, to ensure it meets all editorial standards to sell. Secondly, the right agent will make sure your manuscript only lands on the desks of the publishing houses it really has a chance of catching the eye of. Aside from anything else, they will have an up to date and extremely high calibre set of contacts, giving you the best possible chance of reaching the publishing houses which would be most likely to consider your work. Thirdly, once the ball is rolling, a literary agent is the perfect person to have on your side to ensure the contract negotiations go smoothly. Well versed in the process, an experienced literary agent will understand the ins, outs and technicalities of publishing contracts ensuring no tricky clauses get missed. You don’t want your work to be an instant hit and find yourself with a less than profitable percentage share of the sales for example. 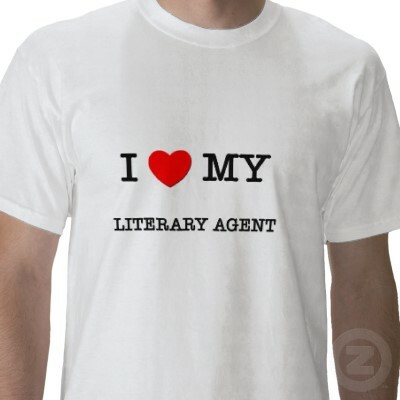 Finally, literary agents are experienced in the game. If it’s your first shot at trying to get published, chances are even your best efforts will fall on deaf ears and you’ll grow more and more despondent by the day. In the long term, a decent agent will use all their expertise to ensure your career keeps moving in the right direction and you’re not one of those dreaded one hit wonders left slouched on your leather sectional wondering where it all went wrong. They have usually seen it all before and so they will know how to help you avoid the pitfalls that many writers tend to fall into. If you’ve decided a literary agent is definitely the right option for you then these basic tips will help you along the way to accessing the huge range of agents out there and of course, who you can afford. If your budget it tight, there’s no point looking at the big boys and you can find an independent or freelancer who has the skills to help you out instead. Similarly, if you know your work still needs lots of editing and redrafting, you need to dedicate your time to that first. No agent worth their salt is going to deal with a text that doesn’t feel like the final draft and even then they’ll do a lot more editing once it does reach them. Literary agents are in part, professional readers and so they need something that’ll totally grip their sense and that they can sell. Once you have everything ready you need to access one of the listings directories relevant for your country. For the UK that would always be the Writers & Artists Yearbook and in the US you’d need to get hold of the Writer’s Market. These directories list the name of everybody and anybody you could need to speak to and your perfect literary agent will be in there somewhere. Be prepared to spend a good few hours poring over the pages of your directory and rather than speculatively sending out a mass of obviously template emails, try and select a few you’d genuinely like to work with and approach their company’s individually. With the growth of self publishing, some think the literary agent is becoming redundant but this is far from true and for every ten so-so books pumped out by individuals, a literary agent can ensure the publication of your one masterpiece. but you have to check the agent as the agent checks you – a good agent will be a boost for you, a bad agent will stall your writing career. good luck!